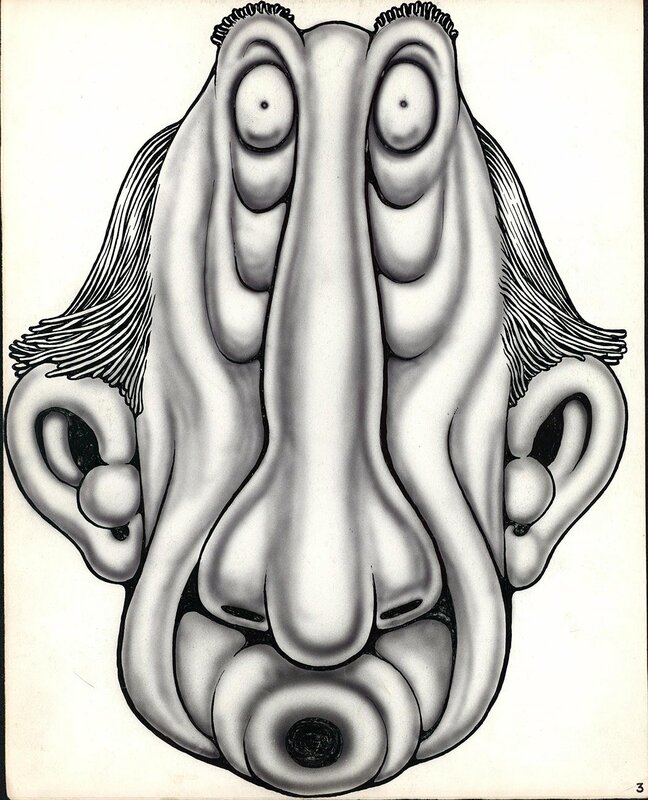 Rare airbrush portrait from the legend Wolverton. From a series done during a brief period where he was using the airbrush. Pen and ink w/airbrush on paper, 11 1/2 x 14 1/2 inches. Excellent condition.